So what in the world happened to our gorgeous fall weather? I was getting my boots out and even bought a new sweater! I really got into the fall baking and was planning out my pie baking marathon. Then November turned into a repeat of August here in Florida. But that didn’t stop me from continuing the pie baking plans! The first on the list was this lovely Southern Buttermilk Pie! What is so special about a buttermilk pie? For one thing, it’s sweet and simple. It uses ingredients that most southern bakers have in their cupboards. The buttermilk makes it so moist, but you don’t have to worry about tasting a strong tangy buttermilk flavor!! 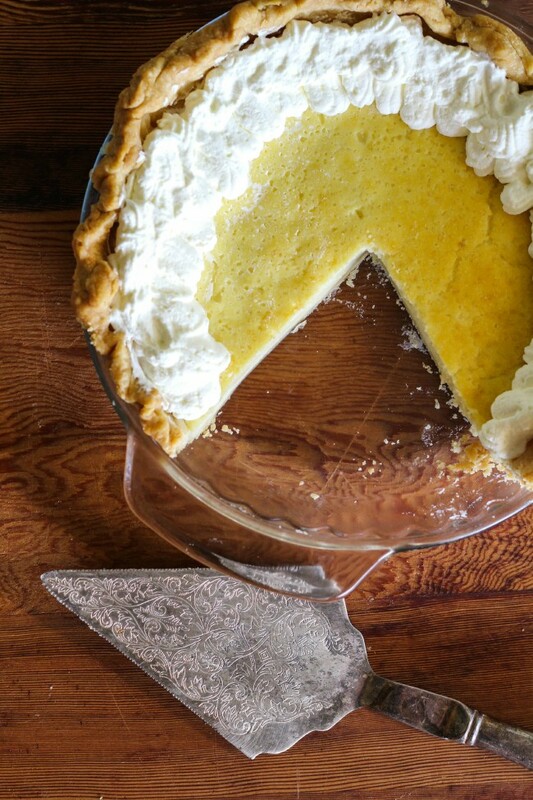 This custard like pie is a cinch to put together and is so perfect to bake for the holidays! You could dress it up with a cranberry sauce drizzle (not a thick sauce, like a syrup consistency). It is a pie that is so easy to put together (use a ready made pie crust if you want and it will make it even easier)and can be enjoyed for any special occasion, not just during the holidays! 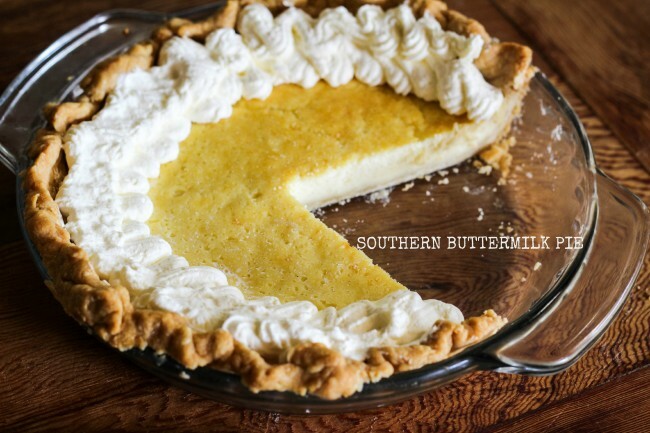 Buttermilk pie is a traditional pie in the south that is elegant and simply delicious. It is time for another #bloggersClue event and I was assigned Sue from A Palatable Pastime. I haven’t ever explored Sue’s blog before, and there was so much to see! I really enjoyed even reading Sue’s bio (I like to read bio’s): “We’re cooking up real food here, be it simple or sophisticated, and every bite is food I have made for my family and friends. No smoke, no mirrors. Real recipes, real people. I do hope you enjoy!” No smoke or mirrors…I love that! She said she made real food, and yes, she does! I was on a search for pies and really was considering her sweet potato pie. Then I remembered my kids weren’t too crazy about it, so I considered the Southern Buttermilk Pie. Today is reveal day, and this month’s theme is: pies. Check out all the lovely recipes my fellow Blogger C.L.U.E. participants are sharing today. 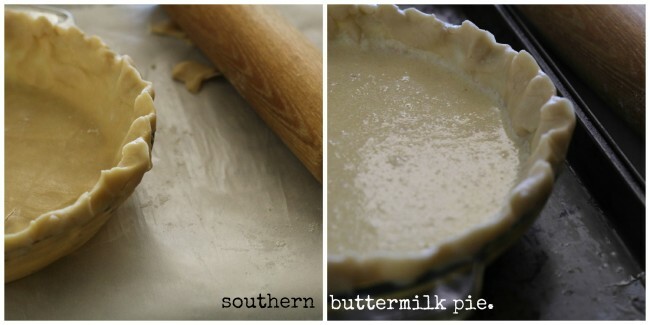 There are different ways to make a Southern Buttermilk Pie. I really like A Cozy Kitchen’s Raspberry Buttermilk pie (the swirls are so pretty!). This buttermilk pie from Joy the Baker has a really great blackberry sauce (and a really cute story to read!). 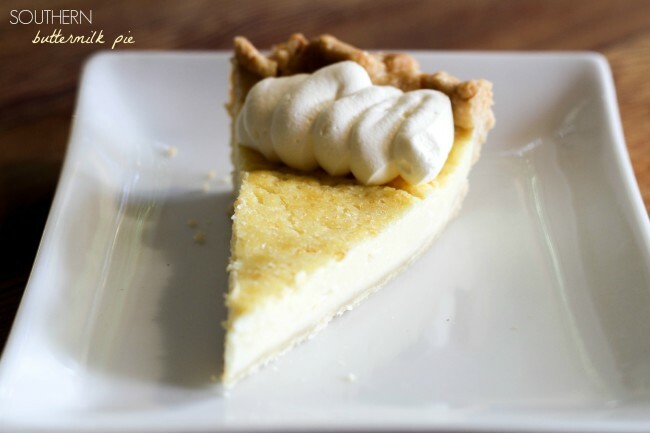 I have got to make this buttermilk pie with pecan crust (pecan crust!!!). I adapted a little the filling that is on Sue’s site. I added a touch of Limoncello to give it a little Italian flavor! It’s homemade from my Calabrian mother-in-law! I used my pie crust and made some whipped cream to use on top. Feel free to use whatever pie crust you and whipped cream. Just be sure to eat more pie! Prepare pie pan with pie crust. Bake for 45-50 minutes until set and golden brown, or until a toothpick comes out clean when inserted in the middle. The pie may still jiggle a little after baking. Remove from the oven and allow to cool and set before slicing. Serve with whipped cream, if you’d like.